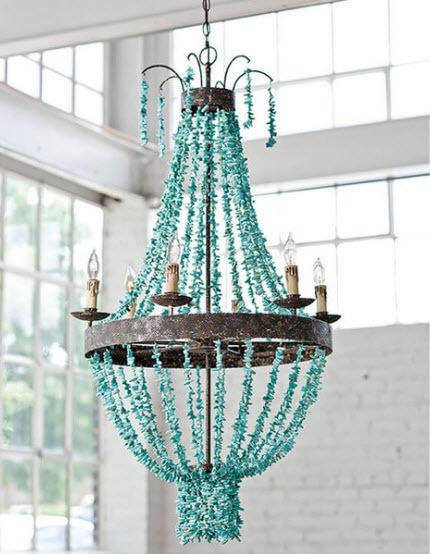 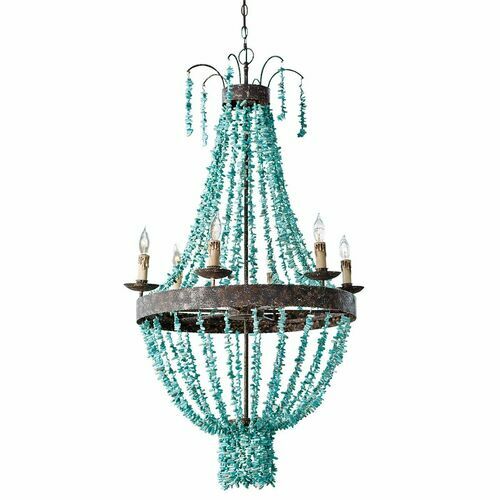 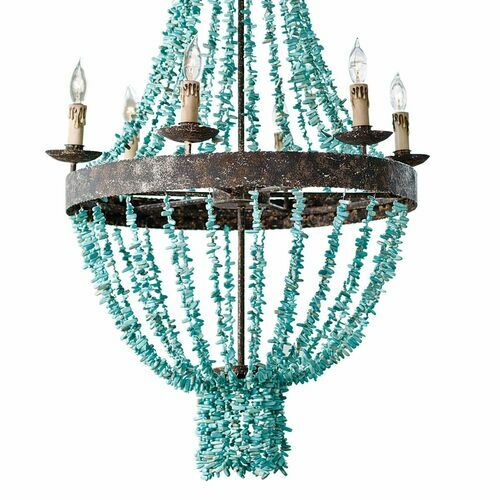 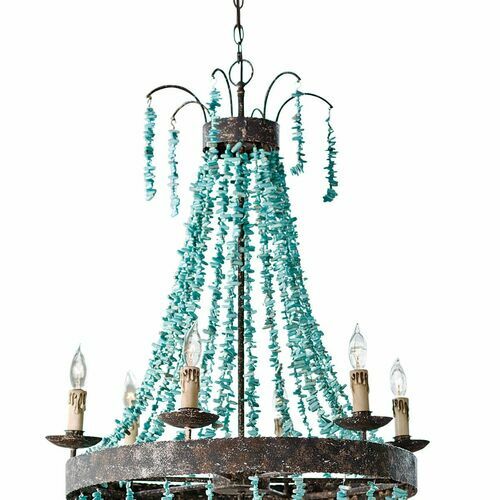 The Beaded Turquoise Chandelier is stunning in a foyer, living room or dining room. 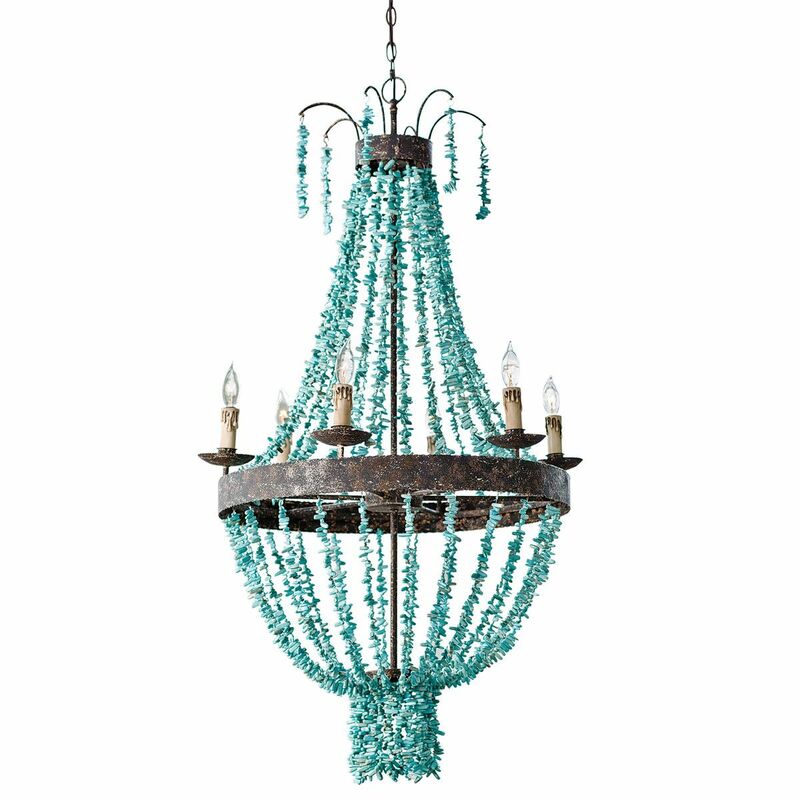 Made from iron and turquoise beads, this chandelier adds an elegant vintage illumination to your space. The faux drip candle accents complement the look. 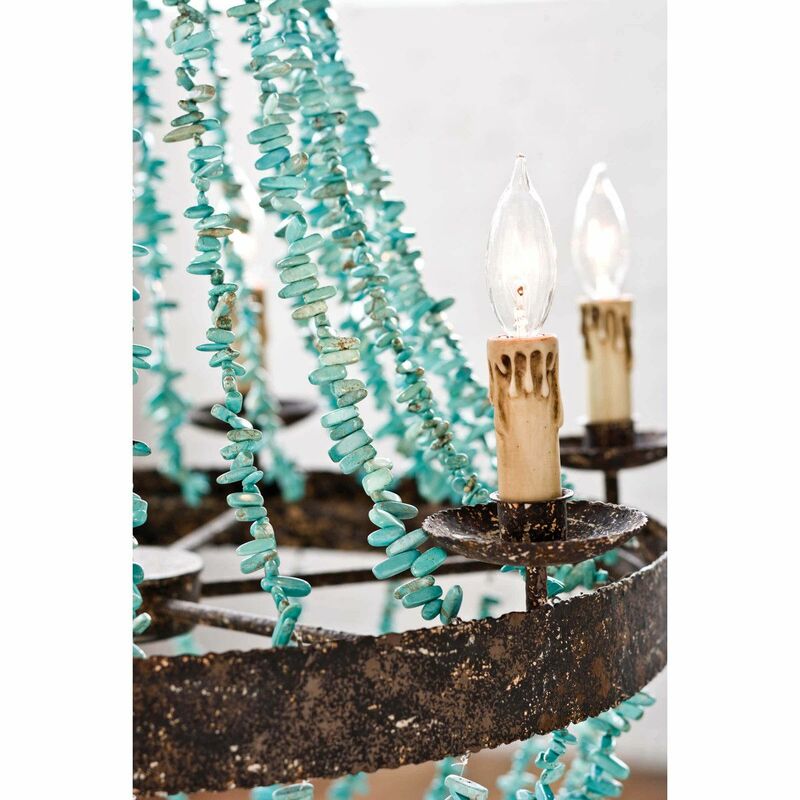 Takes eight 60 max watt candelabra bulbs (not included).